Hollywood actor Steven Seagal calls the head of the Russian Orthodox Church, Patriarch Kirill "a great spiritual leader"
MOSCOW, October 24. /TASS/. Hollywood actor Steven Seagal says that the Christian Orthodox faith in Russia is "a great religion" and calls the head of the Russian Orthodox Church, Patriarch Kirill "a great spiritual leader." "I think that Kirill is a great spiritual leader. I think that the Orthodox Christian religion is working wonderful for Russia, it’s a great religion," he said at a news conference at TASS news agency on Wednesday. 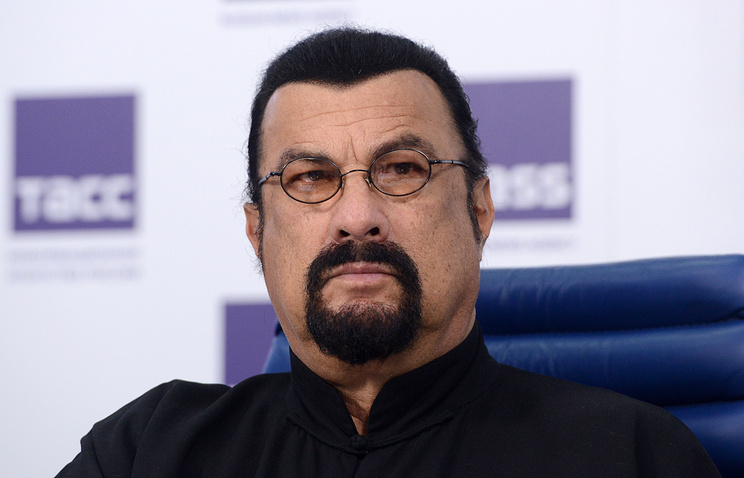 Seagal vowed to support interfaith efforts helping young people across the globe to communicate. The Hollywood actor put an emphasis on harmonious relations and tolerance, saying, "I think also, something that is very-very important to me is…harmony, harmony between all religions. And learning how to love and respect your brothers and your sisters in any religions because we are all part of the same family and that family is the human race. Born in the United States, actor Steven Seagal was granted Russian citizenship in November 2016. He often comes to Russia, repeatedly expressing his affection for the country. 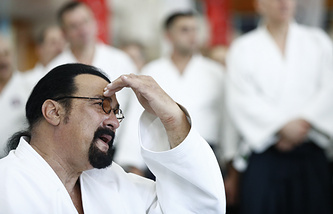 This summer, Seagal was appointed by Russia’s Foreign Ministry as a special representative for humanitarian ties between Russia and the United States.